Candles are magical instruments that can serve us well in our efforts to heal. Candle light lends a soft loving touch to healing sessions. Candles can also be programmed to send healing energy. If you practise Reiki regularly, candles automatically tune into your intentions and do not require any programming. If you have been irregular with practice, it is recommended that you program your candles so you get more effective results. There are countless ways to include candles in your healing work. Here are a few ideas that may be of help. You can of course get creative and build on these ideas in a way that suits your personal style. Burn a white or yellow candle at home every day. You can do this when you are cleaning, cooking or just unwinding after a day’s work. The intention is to allow the energy of the candle light to flood your home and turn it into a haven of love and light. Candle light has the power to transform lower energies and invite higher energies into your home. You can light violet and green coloured candles when you practise self healing with Reiki. Both green and violet have the power to bring about deep healing. Violet absorbs and transmutes any toxins that are released during the process of healing. Green facilitates healing and repair. When you find yourself in emotional turmoil, light a pink and a white candle and sit in front of them. Pink is the colour of love. Looking at the flame of a pink candle can help heal the heart and ease its pain. White candles can help you reclaim your power and feel strong. You can also place pink and white candles in your vicinity while healing yourself with Reiki. Candles can help when we need to send continuous healing to a person, cause or situation. Examples of this would include people who are unwell, global crises such as natural disasters, areas inflicted with war and violence or to Planet Earth in general. Light a white, pink or yellow candle, draw the symbols of your choice over it and request that the candle sends Reiki to the intended recipient, cause or place as it burns. The more you work with candles, the more you tend to fall in love with their healing energies! There are no rigid rules and you cannot make mistakes with candle healing. Ultimately, all light is one. Experiment with a variety of candles in both Reiki and non-Reiki situations and do whatever resonates most with you! Your guided visualizations are always so relaxing to hear it gives immense peace thanks for uploading the audios. Their is one request if u can prepare a guided visualization for healing past n present life karmas it would be of great help. Namaste. Thank you for generously posting your knowledge and guidance. 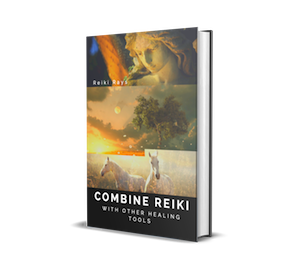 I especially enjoyed a recent article titled Reiki and Candle Healing. A Colour OF a candle depends on What you thinking about it …your Intention of Sense of the colour? Green helps me for a little money Flow. .
Brown is Used for healing animals. ..
Only for Godness and god I Use Silver /gold..or Red and White candles. …..